It is with deep regret that we learned of the death of Chapter member and AMCA National Treasurer Raymond Dhue. Raymond passed away on Sunday, January 23, 2011. 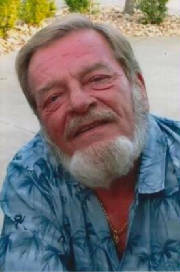 Raymond Dhue resided in Lakeland, Florida. As vice president of the Antique Motorcycle Foundation, he was primarily focused on establishing its fund-raising strategy and programs, and in developing its capability to create touring exhibits. Ray's 35-year professional career was in accounting and information systems, including business, legal and tax matters. Since retiring in 2003, he had become a certified and registered technician at the Lakeland Harley-Davidson/Buell dealership. His first motorcycle was a 1966 Triumph, followed by a 1949 Harley-Davidson FL that was restored on the living room carpet. Other restorations have included Harleys, Indians and BMWs. Both he and his wife Kathy rode their antique motorcycles, which included Triumphs, an Ariel Square Four, and a “Pink Lady” Yamaha from the late 1960s. Known to many AMCA members as “Gentleman Ray,” Dhue had served as an AMCA Senior Judge at many East Coast meets. We are saddened by the loss of a fellow motorcycle enthusiast, master motorcycle mechanic, racer, business owner and great friend, Lucien Wegner. Having lived in Brevard County (Melbourne, Fl.) his lifetime, Lucien was well known for his love of motorcycles. He owned and operated “AL & L Motorcycle Specialist” in Melbourne. His experience as a mechanic spanned over 40 years. Back in the early 70’s, Lucien worked for Del Miller’s “Gentry Motors” in Cocoa. He seemed to “live and breathe” motorcycles. When he was not working at the shop, he was off going to motorcycle swap meets or taking trips just by himself. One of which was to Alaska (twice!!) He often talked about his “adventures” and the beautiful country there was to see that only you could enjoy on a motorcycle. We will miss you Lucien. The motorcycle world has lost a great one and we have a lost a friend.